I was the guest of Luxaflex recently at a lovely event at La Croix, Potts Point giving media and bloggers an overview of the extensive Luxaflex range and a preview of the new Luxaflex ipad app. It is always fun to meet people who are passionate about their product and with deep deep knowledge about the textiles and technology we need to to both make the most of the sunshine and block it out when required. 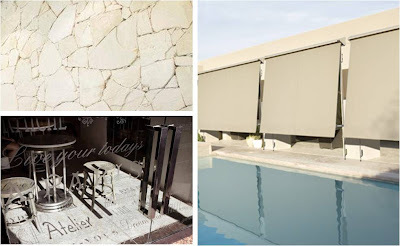 Pearls of wisdom that I came away with were that alot of Luxaflex specialist fabric is made here in Australia as we know what we need to withstand our sun, Luxaflex collect and recycle old blinds, recycling the fibres into new fabric, they can now do widths of 6m (!) in some exterior products (great for those gap haters). 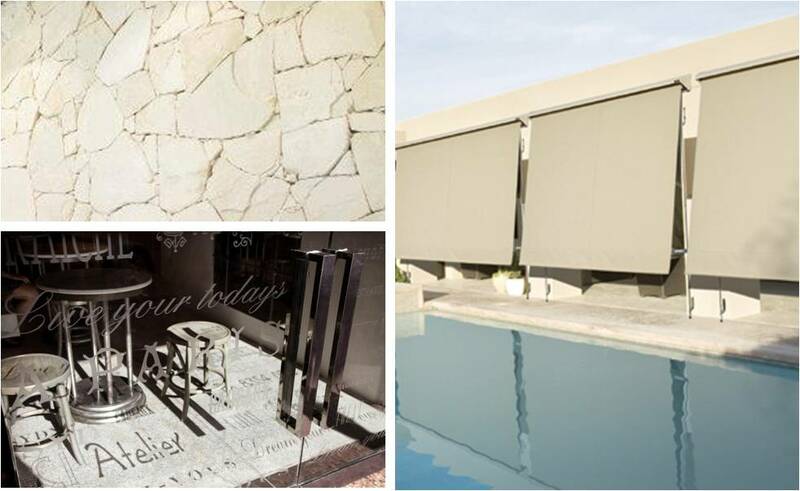 I love the Evo range of contemporary awnings and the very architectural exteriors louvres shown below. La Croix was a delight also - designed by Iain Halliday in a palette of soft grey tumbled stone, marble and buttery grey leather cushions. A perfect neutral backdrop for the shop's mirrors and decorative items scattered amongst the cafe tables. Thanks again to Luxaflex for inviting me along.